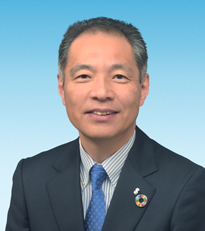 ﻿ Corporate Philosophy ･President's Message - Company information | Showa Denko Packaging Co., Ltd. 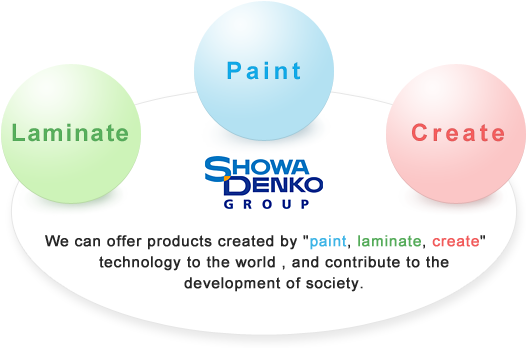 In October, 2001, Showa laminating industry Co., Ltd. as a surviving company is united in processing foil business part of Showa Denko K.K. and laminating business part of Heisei Polymer Co.,Ltd. "Showa Denko packaging Co., Ltd." was launched operating. The history of Tokyo dampproofing industry Co.Ltd. that is the forerunner of Showa laminating industry Co.Ltd. lasted more than half a century. As a management philosophy, "We can offer products created by "paint, laminate, create" technology to the world, and contribute to the development of society." , we perform to the design development and production, the sale of aluminum foil film and the laminating resin film and come in response to the demand of the visitor in the markets such as electronics, foods, pharmaceutical products. Particularly, the product for the lithium ion battery markets is remarkable is our big growth driver in recent years. In addition, by changing the perspective, material technology area to make a composite functional materials based on aluminum foil, spans organic, polymers, inorganic, and metal. Terefore the possible of expansion is widely spread. And our technique "paint, laminate, create" will continue evolving. On the other hand, in view of the various issues related to such energy and resources against the background of the rapid growth of emerging countries and global needs expansion regarding comfort and convenience, we recognize that the preservation of the global environment is one of the most important issues, and make the effective use of resources and strive to reduce the burden of environment , "Paint, laminate, create" technology will give full play to contribute to the future creation with harmony of wealth and sustainability. Finally, for the "realization of the company in which we have confidence and pride,"we have six faiths " Courage to challenge ","Evolve person and organizations", "Manufacturing by on-site lead"," Idea from the "market""," Intent to accomplish"," Heart to enjoy", and have commitment to act quickly and boldly. Thank you for your understanding and support continuously.